There is no doubt that live blackjack is going mainstream. It is gaining in popularity across online casinos as it provides the authentic gambling experience and makes players feel like being at a brick-and-mortar casino. 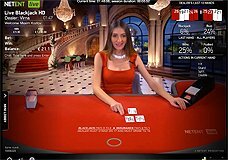 With live online blackjack, you have professional and beautiful women who deal you the cards, and you can talk to them in a chat. 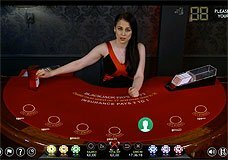 Due to video cameras that capture the table and dealer, and broadcast the footage live over the Internet, you can see every small aspects of the game on your device as if you are sitting at a table in Vegas. The games reviewed on this website are handpicked to give you the best possible experience when it comes to quality, diversity and a universal appeal to blackjack fans. Live blackjack does not require hours of training if you know the basics of a regular blackjack. If you have chosen your preferred blackjack variant, just start the game, make a comfortable bet and enjoy the fun. Some games provide a step-by-step tutorial on the rules and other aspects enabling new users to learn the ropes and master their gaming skills. So that is how it all starts. After you have selected and launched the online live blackjack, you will see a real-life dealer who deals cards, interacts with players and handles the action at the table. The game takes place either at a studio or an actual casino and is streamed real-time with the help of video cameras. By using the controls and changing settings in your selected game, you can manage the image quality, alter camera angles, adjust the window size and make other changes to customize the game performance to your current Internet connection rate. 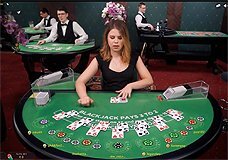 The aim of live blackjack is to try to beat the dealer getting the higher hand than the dealer’s one, without going over 21 points. On the gaming screen, you will find a set of buttons that you click when it is your time to make a betting decision. Normally, there are buttons for Stand, Hit, Double, Split and some other actions depending on the blackjack variation you have chosen. After placing a bet and being dealt a hand, you can choose to Stand and continue playing your original hand, you can Hit to receive another card from the dealer, or you can make other classic blackjack decisions. The natural blackjack hand is the strongest hand that cannot be beaten by the dealer. This hand consists of an Ace plus any card with the value of 10 (King, Queen, Jack or 10). If the Player’s hand is not a blackjack but is still higher than the dealer’s, the player wins. If both the player and the dealer have the same-valued hands, the game ends in a “push”, meaning that the player receives back the amount of his original bet. 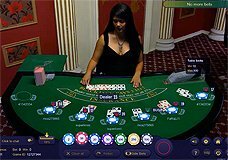 Many blackjack games offered at live casinos have a built-in chat functionality for getting in touch with the dealer or communicating with other players at the table. Though the live blackjack studio may be located anywhere in the world, all dealers speak good English and are professionally trained to help the players in case of any questions about playing live blackjack online. Casino software developers tend to produce traditional blackjack variations where dealer stands or hits on soft 17, the natural blackjack pays 3:2 and the pair splitting is allowed. The number of decks used in the game also varies from a single 52-card deck up to eight decks in the shoe; however, it is not a very important aspect to factor in when choosing a blackjack game to play. Anyway, knowing the classic blackjack rules, you can learn the basic strategy and put it into practice whenever desired. You should definitely give a try to some unique blackjack variants that have side bets, rare rule variations, handy video settings and other features that provide an ultimate gambling experience. Some live dealer casinos offer Blackjack Party (Evolution Gaming) run by two vibrant dealers at a time, Live Blackjack (developed by XProGaming) with the Bet Behind feature, or a NetEnt’s Common Draw blackjack where the players are get dealt the same hand simultaneously. 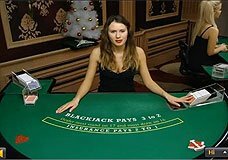 These and many other live blackjack games are based on the classic set of rules with some minor variations that are available for viewing when on the gaming screen. Most live blackjack games are designed compatible with major mobile platforms and mobile operating systems including Android devices, iPhones, iPads and more. Many games have built-in video/audio settings enabling a mobile user to zoom in/out or switch between camera views to get the maximum performance on a small resolution screen. Mobile users will get the same functionalities and options as desktop users, while having great possibilities to play on the go, at any time and place.